I was asked by a family member a while ago what language am I talking to my daughter. When I said that it’s mainly Slovak, she was pleasantly surprised. She also told me that she knows few Slovak couples living abroad who didn’t teach their kids our native language. That sparks a question. Is it really that important to teach a child your mother tongue when you live in foreign lands? You see, when you live abroad, you may feel that you have to teach your child a community language first and if that language is English, it just makes so much sense. English is widely spread around the globe and you would much rather your child to be fluent in an international language, right? I agree, but don’t dismiss your mother tongue just yet. It should still be on your list of top priorities. 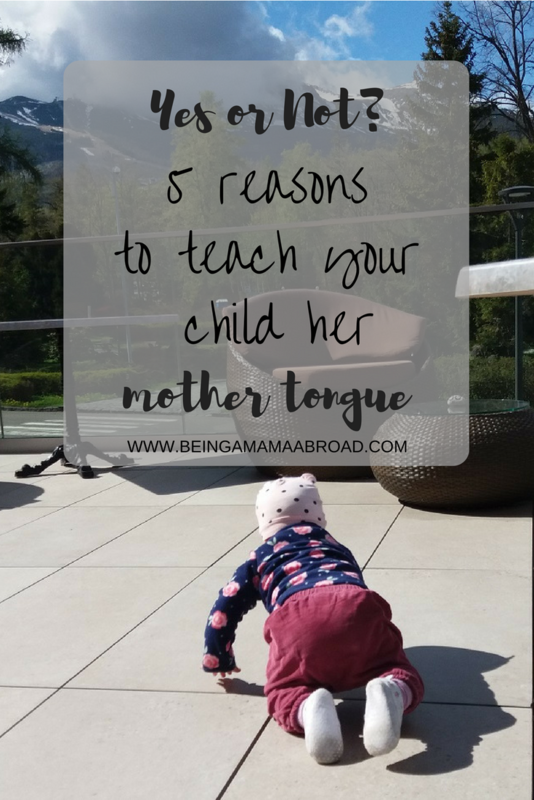 While to me it comes naturally to speak to my baby in my mother tongue, and my partner in his first language (Albanian), some people choose not to teach their kids their native language. Here, you will find the answers as to why you should encourage your mother tongue in your household. In Slovakia, a vast majority of the younger population have a sound knowledge of English language. It’s taught in schools from an early age. But I think it’s safe to say that many grandparents don’t speak English and will, therefore, have a great difficulty communicating with their grandchild if she doesn’t speak their native language. My parents belong to the generation, where Russian was the foreign language they learned at school. For me, it’s vital that my baby can speak fluently with other family members, particularly her grandparents. That’s the biggest reason I’m teaching her my mother tongue. I don’t want her to feel left out when we communicate, and she doesn’t understand. Likewise, there is no chance my parents could learn English at this stage of their life, so it would just be too much hassle to translate all the time from English to Slovakian and vice versa. I think it would just create a gap between her and her grandparents. Plus, I don’t think my mum would ever forgive me if I decided against teaching my baby our native language. So, understanding your mother tongue is essential for your child, to build a bond with the extended family. Just imagine, if your kid couldn’t communicate with her cousins in your home country while playing together. It just wouldn’t be much fun, to say the least. They may even find it frustrating in the future and feel angry at you for not making an effort to teach them your native language. Your child will have a sense of belonging if she can speak her mother tongue. She will understand and be connected to her roots better if she learns the language of your home country. 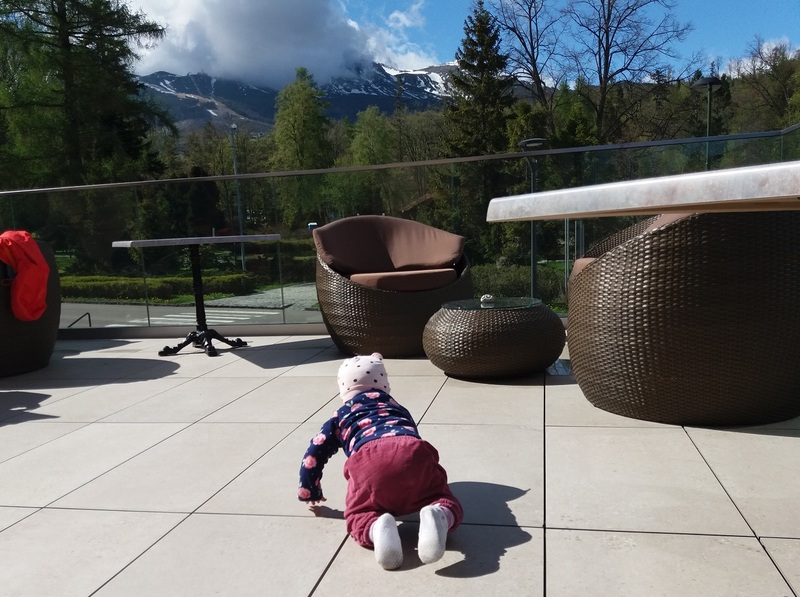 In this globalised world, we live in now, it’s so important to retain your culture and what’s the best way than through your own children, so that they can then pass it on to their children one day. Although we live in the UK, our baby is still half Slovakian and half Albanian. It’s important for us that she understands her cultural heritage. I want her to feel proud of her family history and origin. Some people think that by introducing a mother tongue to a baby, it will just confuse her, delay her speech progress or result in learning difficulties. However, the research shows the right opposite is true. Many research studies are showing the benefits of speaking more than one language. One of them explains how brains benefit from multilingualism. The advantages include learning in general, complex thinking and flexibility, mental flexibility, interpersonal and communication skills. It is even suggested that multilingualism helps to delay age-related mental diminishment possibly. So, the benefits are huge. Being able to speak several languages can also further help your child’s travel endeavours and job prospects in the future. Some languages are very similar to each other, so you can almost certainly understand at least a little bit of some additional languages. For example, speaking Slovakian means that I can also understand almost hundred percent Czech and quite well Polish language. They all belong to the Slavic languages which are related and therefore easy to understand. So, even if my baby starts talking a bit later as a result of being exposed to several languages, it’s a risk worth taking. If your child is exposed to your mother tongue from a very young age, she will have a great chance to get a good grasp of it, even if the majority language in your community is different. Research shows that children can learn up to 3- 4 languages in their early years. So, why not utilise this opportunity? They have a huge advantage of being able to learn several languages at once. I don’t know about you, but for me, it’s definitely easier to talk to my baby in Slovak rather than English. Although I like to think that I’m pretty fluent in English, my vocabulary is nowhere near as good as that of my mother tongue. You are an expert in speaking your native language, and baby talk is a unique language in its own unique way. That’s why talking to your baby in your mother tongue will be more natural and easier. Your baby will have a solid language base. Learning a mother tongue is vital for your child’s future. It creates a sense of belonging, and there is no doubt about the considerable benefits. Yes, English is also essential, and if not learned at home, your child will pick it up in her surroundings once she starts nursery, and meet with her peers. What are your views about bilingualism? Do you teach your kids their mother tongue, do you go with the community language or do you teach them both? As always, leave your comments below. I was actually discussing this issue with my husband before and we have a little issue with that as I am a Spanish speaker and he is not. At this point, my daughter is only learning English. For us, our Caribbean culture is highly valued and we do so many traditions that brings both cultures alive without language. Great post and this is a great topic! Thanks for your comment. Seems like you found a way how to retain your cultural heritage that works for you just great. Choosing a language for a baby in multilingual household is no easy task, I can totally understand. 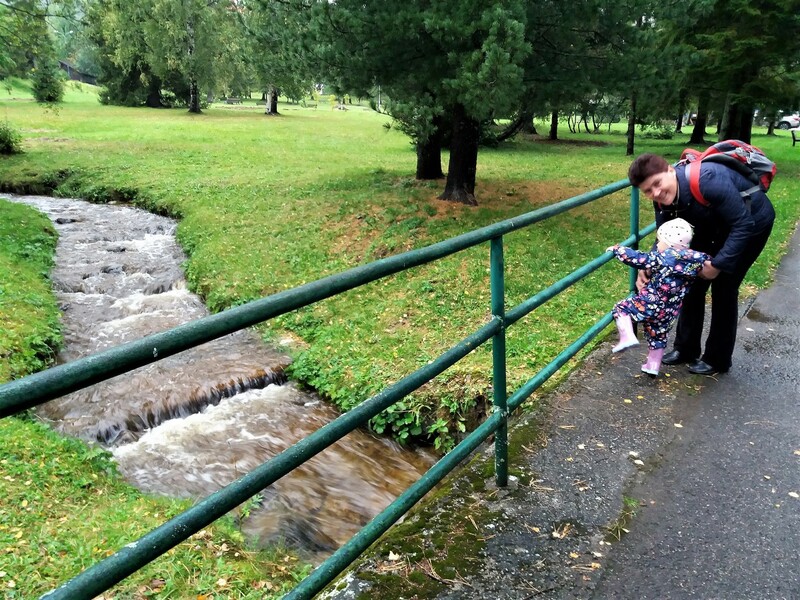 For me, it was a natural option to teach my daughter my mother tongue. I’m not an expert but I can only see the benefits. I think it’s never too late to introduce it.